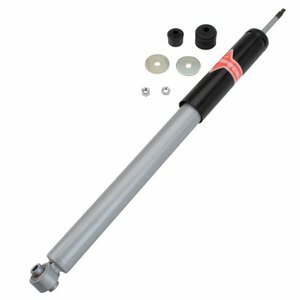 The KYB Gas-a-Just monotube shock absorber has additional performance advantages over the traditional twin-tube design: It can instantly, automatically adjust to your performance needs and never experiences fade due to aeration. The Gas-a-Just is available as an OE monotube replacement and as an OE twin-tube performance upgrade. The KYB Gas-a-Just has two separate working chambers: An air-free hydraulic piston and valve area for responsiveness & control, and a second high-pressure nitrogen gas area with a floating piston that provides a comfortable ride during normal driving and adds instant performance on demand. The Gas-a-Just's high-pressure, monotube design delivers the control spirited drivers are looking for and it's ideal for European cars.